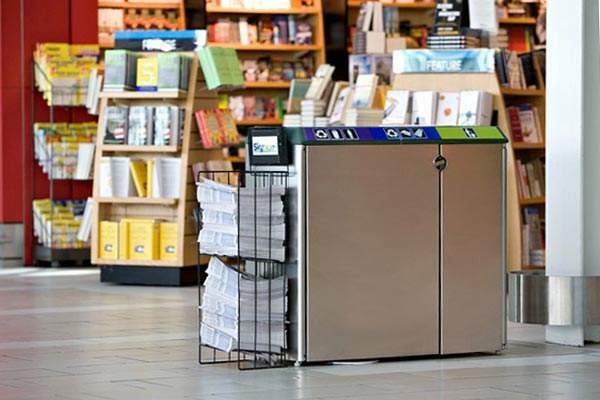 Forms+Surfaces offers a striking breadth of beautiful, durable, airport-friendly, eco-friendly and maintenance-friendly litter and recycling receptacles designed to meet the real-world, long-term challenges of airports and other busy transit centers. Since its founding more than 45 years ago, the company has been at the forefront of material innovation, design leadership and advanced manufacturing technologies. Our distinctive receptacles have been chosen by dozens of international airports for their high durability and cutting-edge design. 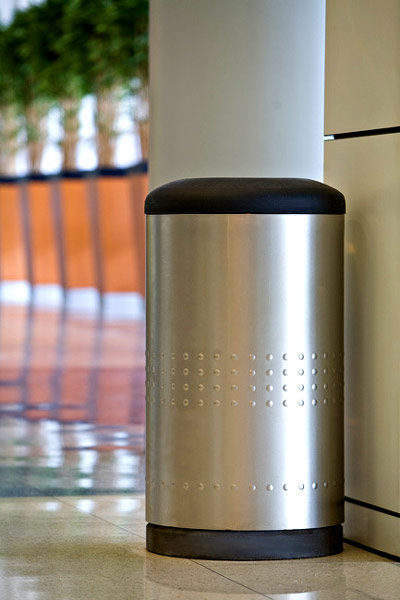 Forms+Surfaces’ litter and recycling receptacles have been developed with input from sanitation specialists in the toughest urban and transportation environments. 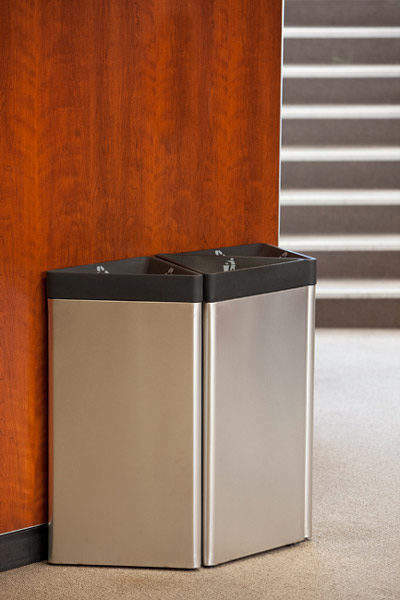 Made with corrosion-resistant, eco-friendly stainless-steel and featuring Forms+Surfaces’ proprietary high-durability finishes, the company’s receptacles are attractive, durable, maintenance-friendly and constructed to ensure a long product lifecycle. 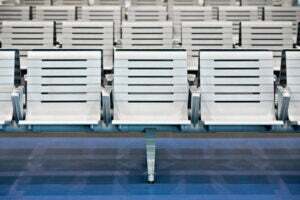 Three designs are especially well-suited for airports and other environments where ruggedness, ease of maintenance and efficient use of space are priorities. 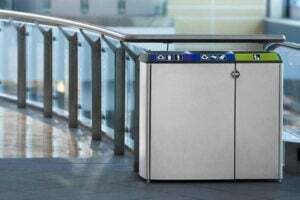 Transit™ provides an attractive, efficient all-in-one solution for litter collection and recycling. 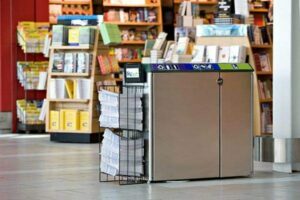 Made from durable, corrosion-resistant stainless steel, Transit’s space-saving design incorporates three separate openings and independent internal compartments for conventional litter, paper and beverage containers. 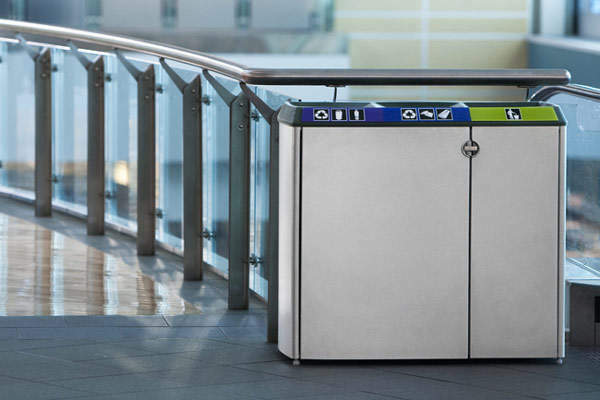 The Triad™ range provides a versatile modular solution for litter collection and recycling. Available in triangular and trapezoidal shapes, receptacles can be used alone or arranged together in attractive, geometric groupings. Triad’s à la carte approach makes it ideal for projects where varying types and quantities of waste/recycle streams must be accommodated. The Universal™ receptacle offers the beauty and performance of stainless steel in a comprehensive range of sizes and configurations. The group is based on a versatile system concept that offers numerous design and surface treatment options to meet diverse aesthetic and functional needs. Our receptacles are installed in airports around the world: Vancouver International Airport; Los Angeles International Airport; San Diego International Airport; San Francisco International Airport; Denver International Airport; Miami International Airport; Ft Lauderdale International Airport; Indianapolis International Airport; Newark Liberty International Airport; Portland International Airport; Dallas-Fort Worth International Airport; Vancouver International Airport; John F Kennedy International Airport; Cleveland Hopkins International Airport; Akron-Canton Airport; Boise Airport; Salt Lake City International Airport; San Antonio International Airport; Des Moines International Airport; General Mitchell International Airport. 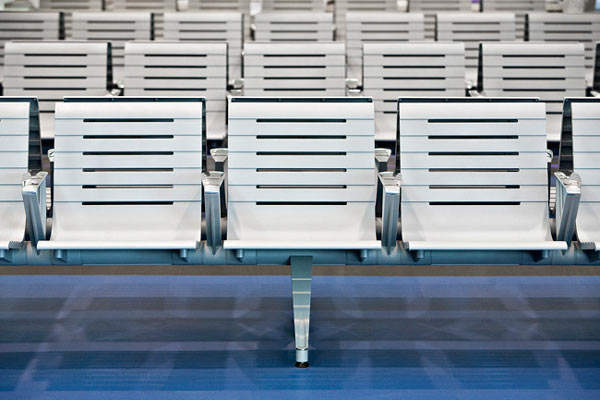 In addition to litter and recycling receptacles, the Forms+Surfaces product line includes seating, information display systems, security bollards, and a wide array of high-performance materials and surfaces ideal for diverse airport applications: walls, counter facings, columns, and elevator doors and interiors.